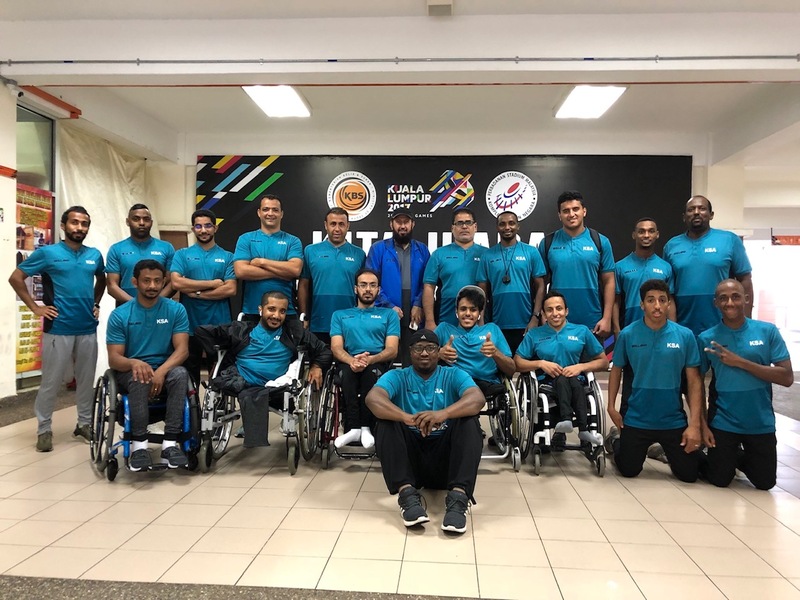 26 athletes from the Saudi Paralympic Team will compete in three sports (athletics, powerlifting and wheelchair basketball) in the Asian Para Games in Jakarta, Indonesia (6-13 October 2018). The Saudi national team had been preparing for the competition in Kuala Lumpur from 13 September to 2 October. The athletes came together with their coaches and administrators with the support of the chairman of the General Sports Authority, Turki Al-Alshikh, and the Saudi government. Their preparatory camp in Kuala Lumpur is evidence of the close cooperation between the Saudi Arabian Federation for Sports for Special Needs and the Paralympic Council of Malaysia. The Saudi team trained in various sports facilities in Kuala Lumpur, including the Paralympic Sports Excellence Centre in Kampung Pandan. One of the athletes was powerlifter Saleh Ali Algahtani who won a silver medal at the 7th Fazza IPC Powerlifting World Cup in Dubai and a bronze medal at the IPC Powerlifting World Cup in Kuala Lumpur both in 2016. Mr. Ali Alyami, coach of the Saudi powerlifting team, said that the athletes were training hard in order to do improve the level of disability sport as well as do well in the Asian Para Games. Disability sport in the Kingdom of Saudi Arabia has gone through many developments through the years. Sports for persons with disabilities were first organized in 1994 when the Saudi Arabian Federation for Disability Sports was established. The name of the Federation was changed to the Saudi Arabian Federation for Sports for Special Needs in 2002. A new sport association was created for persons with hearing impairment in 2008 called the Saudi Arabia for Deaf Sport. The number of training centres in the country has increased from 12 in 1997 to 15 in 2003. 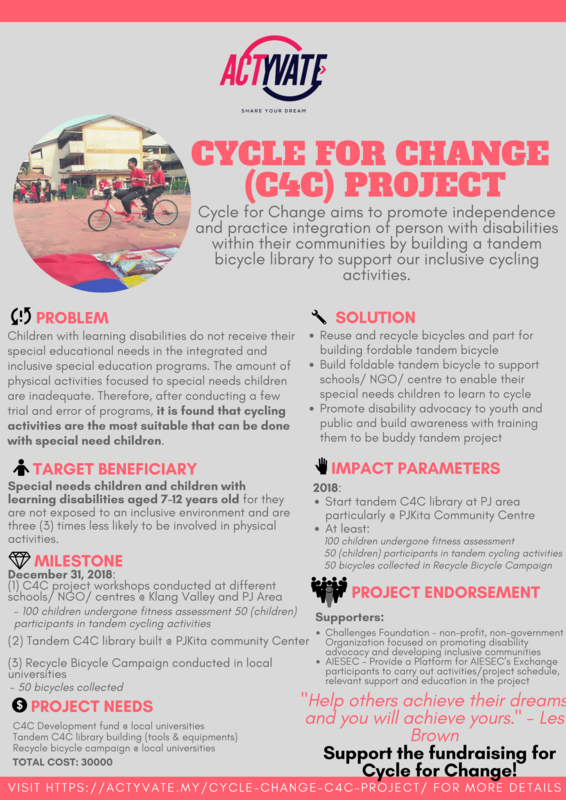 These training centres have been developed as official clubs offering sports activities for persons with disabilities. The Kingdom of Saudi Arabia has taken part in various international competitions including the Paralympic Games, Asian Games, and Special Olympics. The country first took part in the Paralympic Games in 1996 in Atlanta with athletes taking part in athletics and powerlifting. The Saudi team has participated in all Paralympic Games since then. The country first won a Paralympic medal at the 2008 Paralympic Games in Beijing. The Kingdom of Saudi Arabia won two medals (a gold and a silver) in athletics through Osamah Alshanqiti in both the men’s long jump and men’s triple jump events. Two other Paralympic medals were won by Hani Alnakhli in the men’s discus throw (silver medal in the 2012 London Paralympic Games) and men’s shot put (bronze medal at the 2016 Rio Paralympic Games). The Saudi team has also achieved success in football having won the last four INAS World Football Championships (2006 in Germany, 2010 in South Africa, 2014 in Brazil and 2018 Sweden). This Championship, organized by the International Sports Federation for Persons with Intellectual Disability, is held every four years. At the Asian level, the Kingdom of Saudi Arabia has participated in the Asian Para Games since 2010 and won medals in all of them. The Saudi team won six medals in the 2010 Asian Para Games in Guangzhou. Five medals were won in athletics (1 gold, 3 silver and 1 bronze) and one in powerlifting (a silver medal). At the 2014 Asian Para Games in Incheon, South Korea, the Saudi team won four medals (2 gold, 1 silver and 1 bronze). Wishing the Saudi team all the best in Jakarta!